Sponsored post: I am a Goddess Garden Brand Ambassador. I have received both products, that I love using and compensation as part of this program. All opinions are my own. My personal reasons for eliminating toxic chemicals started about three years ago when my son's eczema turned into a week of let's try to guess what is causing that rash. At first, I tried to remember if he had any new foods or touched any substances that I knew that he had sensitivities to. It was just plain awful seeing all the hives all over my son's body and not knowing what was causing the rash. When I tried putting lotion on his skin to make the rash feel better, my son would cry and tell me that his skin was burning. So we quickly washed the lotion off his skin. His skin was always the worst after bathtime so I suspected it was the shampoo and soap that he was using as we recently changed from baby products to big kid products. So I bought soap that was for sensitive skin but the rash still came back so then I thought maybe it was the detergent as I had switched brands. A new detergent was the answer for now. That was until my son started complaining about sores in his mouth, several weeks later. A visit to the doctor gave us this orange liquid called magic mouthwash. The magic mouthwash only seemed to ease the pain. I later learned at a health conference that his chemical toothpaste was causing his mouth sores so now he uses natural toothpaste. I began to use only natural products on my son and he no longer has eczema. After seeing what chemicals did to my son, I became more aware of my own allergies to chemicals. I began to realize that it is not normal to feel itchy after a shower and need tons of lotion after I started using natural soap as my skin was no longer itchy. I discover that coughing while cleaning the bathroom does not mean things are getting cleaner, it just means that the cleaner has chemical crap in it that was irritating my lungs. My armpits no longer had those itchy bumps on them after ditching my toxic antiperspirant for a natural deodorant. I loved when I discovered mineral based sunscreen and I could protect my skin from the sun without feeling itchy. Up until then I only used sunscreen when I went swimming outdoors and that was not often as I hated the way chemical sunscreen felt on my skin. 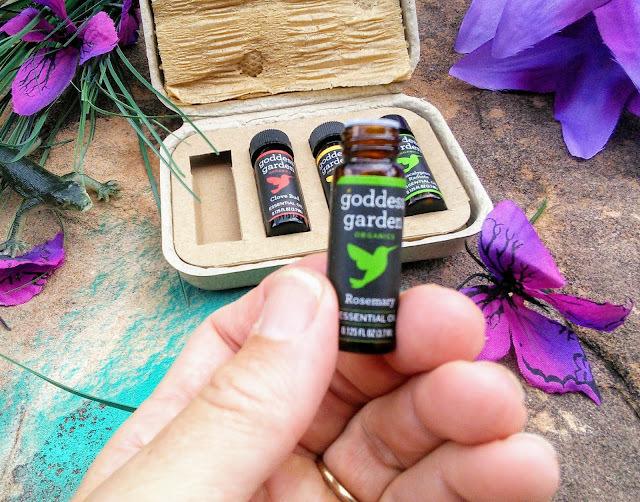 The change that I liked the best was being able to enjoy fragrance without feeling sick or coughing as I discovered natural scents made from essential oils. I was always sensitive to perfumes and my husband knew never to come near me after he put on his antiperspirant as I would gag, I was thankful my husband left for work before I woke up. The fragrance in his soap and shampoo did not bother me as he washed those off in the shower. The teen learned that if he applied his antiperspirant and needed a ride to school that the car windows would be open. I love the scent of a candle burning and had no problem with candles in the winter time as my seasonal allergies usually were on pause then as things were not in bloom outside. I, however, did not burn candles in the summer as they convey warmth to me. So when I discovered oil diffusers and aromatherapy, I was very happy to enjoy more scent in the house beyond cooking scents. They say scent can create feelings of happiness or calm you and I so I agree. My husband likes the scent of a campfire but not me as that triggers my asthma. I have always been sensitive to some degree of smoke but it got worse after forest fires that were near my state. That was the year that the smoke traveled in from another state and we were told the air quality was so bad that we had to stay indoors at dusk. So now I can't even be near a barbecue. My favorite scent to use in my oil diffuser is lemon and rosemary. This scent smells great and helps me focus. I like that I can use organic essential oils in my diffuser and not have to worry about chemicals irritating my lungs. 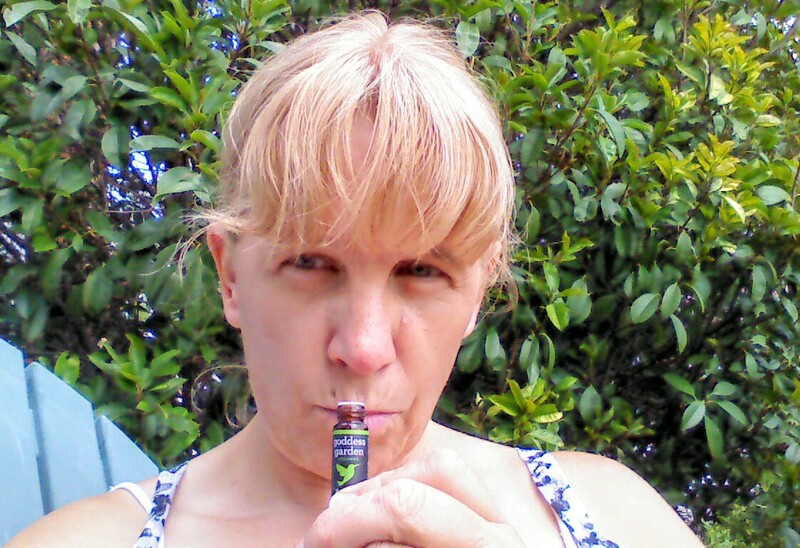 Another essential oil scent that I enjoy using is eucalyptus oil. When my allergies were at their worse, I would place the eucalyptus on my aromatherapy bracelet. One deep inhale of this mixture would help open my airways so I could expel the mucus that was causing my asthmatic cough. Thank goodness I discovered that a milk allergy was causing my asthma attacks and now I do not have to daily carry around my aromatherapy bracelet. Since I have switched out many chemical products and discovered my milk allergy, I feel my asthma is in better control and my skin feels way better. My husband used to joke that I would use a gallon of lotion every day and he was somewhat right as the chemicals in my bath products were making my skin itch and feel dry. So now I use way less lotion and oils on my body. It makes me happy when I meet people who use natural products especially mineral-based sunscreen. When I see people using regular sunscreen it makes me cringe as they are wiping chemicals on their skin that get absorbed into the body. I can't even be near a person who is applying regular sunscreen as I can't stand that chemical scent. So I am glad that Hawaii is taking a stand and banning sunscreens as they have seen the effects on the coral reefs. I choose to protect the ocean and use a Reef-Safe-Sunscreen. I may use some not 100% natural products but I will never go back to using chemical based sunscreens now that I know what is in them. I will not put scary chemicals like Oxybenzone, Octinoxate, or Avobenzone on my skin when mineral-based sunscreens do a great job of protecting my skin from the sun. 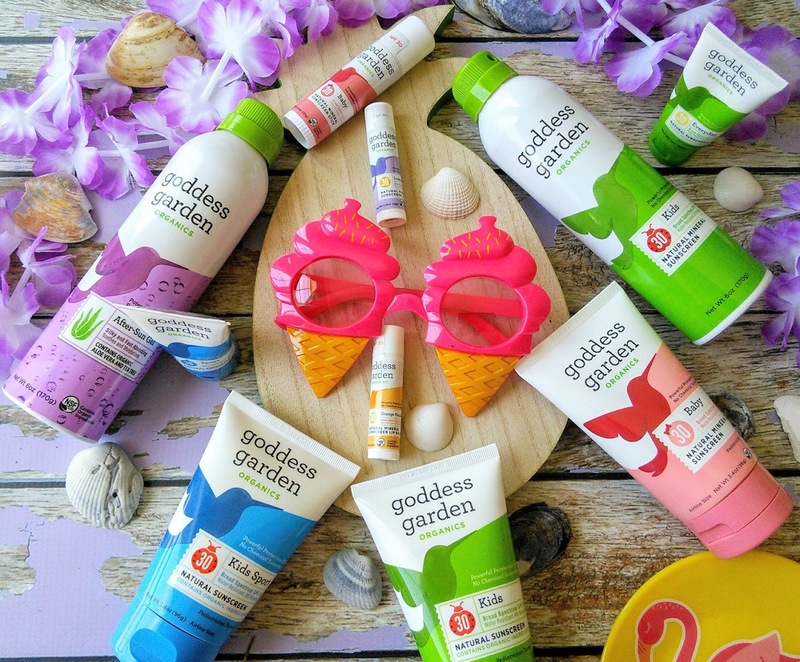 My skin has never burned when I applied Goddess Garden mineral-based sunscreen. I love that I do not have to choose between chemicals or sun protection. Thanks for this, it's such an important topic. I scuba dive and try to always use sunscreen and products that are not harmful to ocean life or the environment. More expensive, but definitely worth it. No one can disagree on momknows best. Thanks for this important topic. 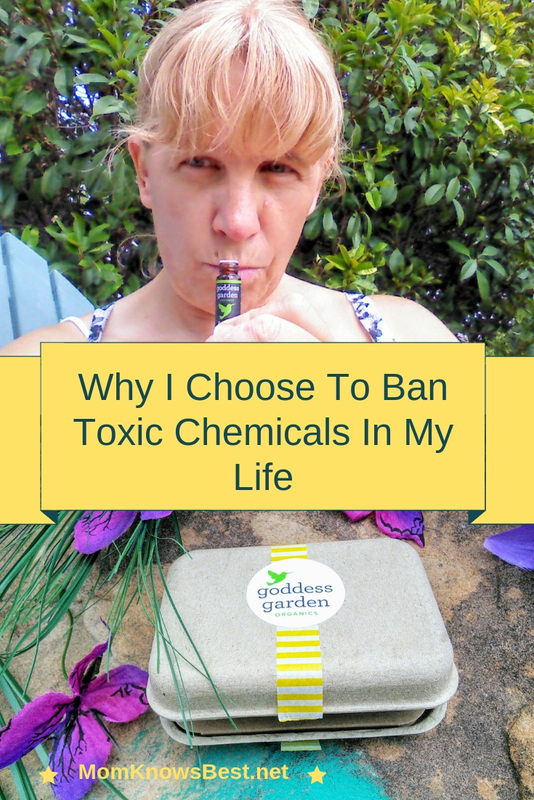 Oh I know it's so important to ban toxins from every aspect of our lives but with the penetration of toxins on so many levels, it's not so easy, is it? Great read!! I’m defo gonna start paying closer to attention to things like sunscreen from now on. I have actually started having skin irritations lately, and I think changing the products I use and going the natural route is better. It sounds like you have done something that really works for you! 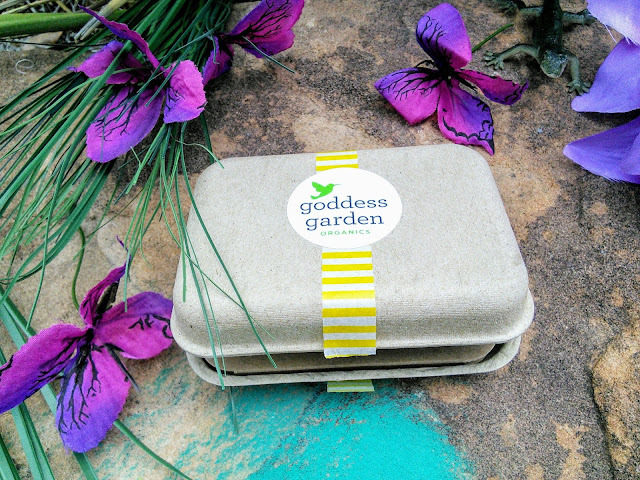 I try and be as environmentally friendly and as kind and caring to my skin as possible. 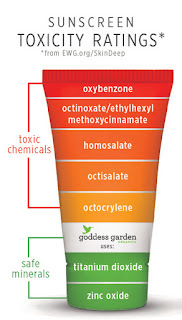 Wow, glad to learn about this post about chemical toxic in sunscreens. I always thought sunscreen are good and needed to apply under hot sun to prevent sun burn. Didn't realise actually there have so many scary chemicals in it. Such a great decision you've made here. I wish I'd also go natural especially when it comes to the chemicals around the house and my sunscreen. Just like all drugs, chemicals have some serious side effects. The World Health Organization (WHO) estimates that the chemical industry causes around a million deaths and 21m disability adjusted life years (DALYs) globally every year (based on 2004 data). DALYs are a measure of overall disease burden, expressed as the number of years lost due to ill-health, disability or early death. You're always better off banning toxic chemicals from your life. Your health can only improve when you do! So it is a great decision! We are getting ready for summer and this is a timely reminder! I need to check the ingredients in our bottles and switch like you did! I'm sort of going through this right now. My face has been breaking out more, so I'm trying a more natural face mask to see if it can help. It's crazy how many chemicals are in everything. These products seem amazing! I always feel better when I reduce toxic chemicals as well. I will check them out. I have started to be more conscious about my body a while ago and stopped everything that would harm it. I actually just got a set of natural zero waste products that I can't wait to try out. I was saying that I have jumped on the natural product train and I don't want to get off! I love learning about all the natural products and the chemicals that go into the not so natural products. I feel like once you learn about it, you just can't go back! I try to minimize products with chemicals as well, but it's so hard to do! I love love using natural products. 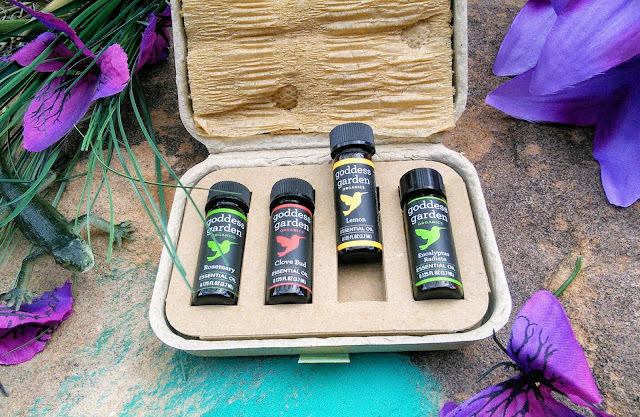 Because of the increased awareness, there are more and more natural products available in the market!